Throwback Thursday – Balloon Celebration – Stampin’ Up! WOW!! This month’s Throwback Thursday card has been getting a lot of Pinterest traffic the past 2 weeks. It’s a card that I created, using the Balloon Celebration Stamp Set back in early 2016. Which was shortly after I became a demonstrator. It was part of a set that I designed & we then made at my second ever card class. This was the “WOW” card & an introduction to heat embossing for all of my class ladies. I was totally new to blogging around that time & somehow this glittering little number was overlooked & didn’t receive it’s own write up…..until now. So thank you for taking an interest & reminding me that I needed to let this lovely card shine :-). I’ve taken a few new pic’s, which I’m better at doing now (Practice makes perfect or so they say! ), & popped them on here for you. The old one that’s doing the rounds on Pinterest is down towards the end of this post. Without further preamble I’ll let you know how I went about making it. 2: Cut a piece of Sahara Sand to use as a layer on your card front. 3: Cut a slightly smaller piece of Whisper White cardstock to use for stamping. Top Tip: Since then I’ve refined my technique & now reduce the size of my layers by 0.5cm on the top & 0.5cm on the side (one side only). I like the proportions better, as they look a little more refined. 4: Stamp both the big & small balloons from the Balloon Celebration Stamp set in the following colours: Pretty in Pink (retired), Pink Pirouette & Blushing Bride. Make sure you overlap them in places to get a nice”bunched” effect. Top Tip: If you don’t have an old Pretty in Pink ink pad, try the Stampin’ Off technique to give you extra colour options. 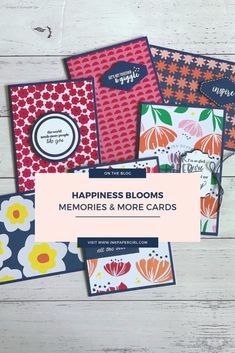 Click here to see a recent blog post where I explain the Stampin’ Off technique. 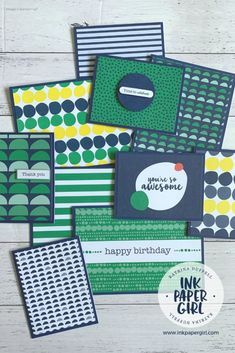 5: Grab both the big & small the “spotty” stamps from the stamp set & ink them up using Versamark ink, then stamp them onto the corresponding sized balloons….don’t stamp every balloon, just select a few to highlight. 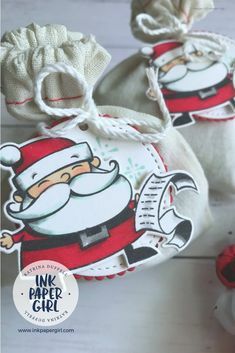 6: After stamping the versamark onto the balloon images, sprinkle gold heat embossing powder onto them & tap off the excess. Then turn on your heat tool & start melting/setting the gold embossing powder. Once the balloons are done, repeat the process this time using a sentiment. I chose a matching one from the same stamp set. 8: As a final touch & to add a little more texture & interest I glued down some gold sequins. I hope you love this card as much as I do. It’s SO INCREDIBLY PRETTY when you move it under lights. If you see anything else on my blog page that you like & doesn’t have a write up, let me know. It could be the next Throwback Thursday card ;-). So, so pretty! Thank you for sharing this! Just saw this on pinterst and L.O.V.E. it! Thanks for the directions!